Hello there! 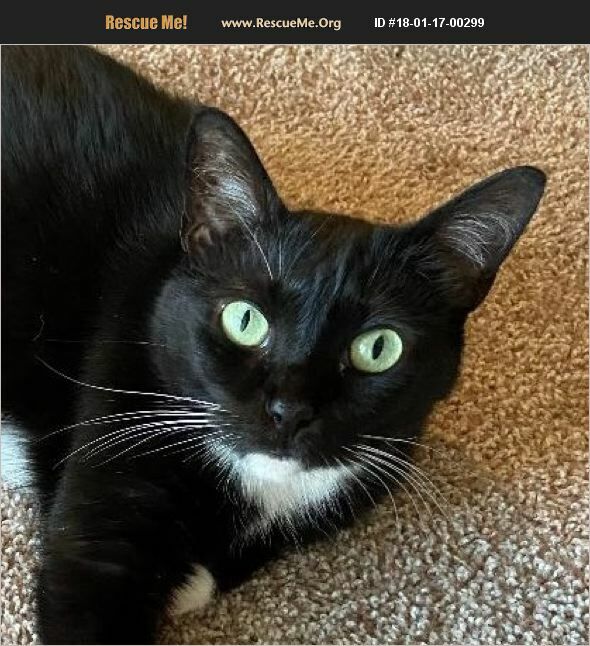 My name is Penguin, and I'm a sweet, easy-going, laid-back black and white tuxedo DSH gal with gigantic, mesmerizing, celadon green eyes who was born in January 2013. I'm beautifully marked in that I have a white bib and tummy with white mittens and boots. Do you think I look like a penguin? I've got a calm, quiet disposition and just love to make biscuits on something soft. I love to be in the laps of my human companions -- adults and kids. I get along great with the other cats in my foster home, but I haven't been around dogs. I was rescued from an apartment complex parking lot, where I had been living paw-to-mouth until my future foster meowmy rescued me and brought me inside to safety. I was so glad when I kissed my dumpster-diving days good-bye. I'm ecstatic that the food and water bowls are brimming in my warm, cozy foster home. Now that my hardscrabble days are behind me, I'm ready for a home of my very own. Won't you arrange to meet me today so I can gaze at you with my big saucer eyes? We can start writing the new chapter in our lives together. Penguin is updated on shots, spayed, dewormed, microchipped, FIV/ FeLV negative, and ready for her indoor-only home. No de-clawing permitted. Her adoption fee is $100, cash or check payable to Buster's Friends. Please click the contact button if you are interested in Penguin, and we can let you know exactly where you can meet her. To adopt one of our cats, you must fill out our adoption application and be approved by one of our adoption counselors. To make the process more efficient, submit the online cat adoption application at https://www.bustersfriends.org/cat-adoption-application.